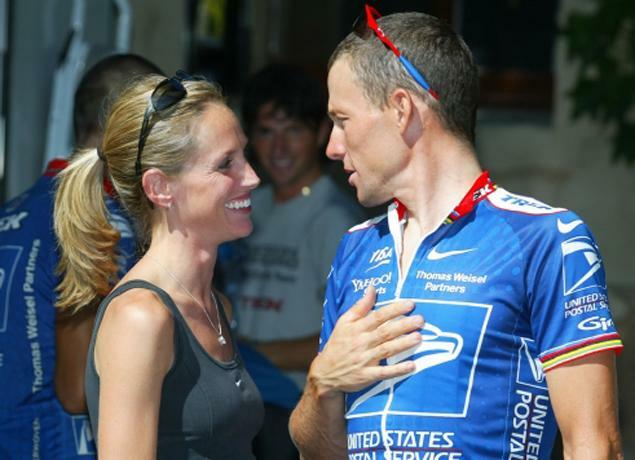 Kristin Armstrong, Lance Armstrong ex-wife is in the (mysterious) talking mood. But now that we know (Armstrong confirmed it in his interview) that Kristin knew all about his doping saga, her words about ‘stillness’ sound like a condescending psychological advice to explain her own stillness during the mega doping adventure of her ex-husband. Her stillness in front of all Lance Armstrong’s lies and bullying. That being the worst part. Even better, we also ‘know’ that not only she knew about his doping but that she participated actively in the doping. Multiple sources have confirmed it under oath. She concludes by stating: ‘I’m choosing peace, and once chosen, it’s decided.’ I am not sure that she is going to have peace (at least on the legal side) anywhere soon, since she was involved in all the doping scheme during her 5 years marriage to LanceArmstrong. As expected, reactions and comments to her post were rather harsh on her. An article detailing how Kristin helped Lance destroy Greg LeMond with her false testimony (under oath) in Lemond vs Trek. And then how Kristin allowed Lance to use her in the Oprah interview “as a pawn, not to protect her but to cover for himself.” You’d almost feel sorry for her except…she gave him permission, and it’s nearly impossible to believe that she doesn’t at this point know he doped in ’09 and ’10. She’s not a stupid woman, and the expert analysis of Lance’s blood samples in those tours is available with a 2 second Google search, has been for months. As for my part, I just don’t understand why she published this insignificant piece on moral advice. Is this just plain stupidity, arrogance or despair? To read her post please click HERE. I can’t believe that she’s still a blogger at runner’s world. For a publication whose target audience is endurance athletes, it boggles my mind how they still support her when multiple witnesses have testified under oath that she was well aware that he was doping. And all her posts are all these BS posts about honesty and integrity. You can’t win when you’re dirty, Kristin Armstrong.